Silko Honda is your local Raynham Honda dealer, located right in town so we’re easy to reach! You’ll love our inventory of new Hondas to meet your every driving need, and our pre-owned Hondas will get you great value for a great price. 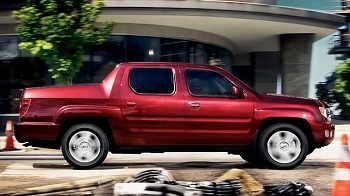 Our SilkoCare maintenance program (valued at $1399) provides lifetime powertrain warranty and complimentary maintenance. And our financing team is always on call to lend a helping hand. 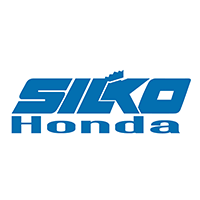 There’s no doubt that you’ll get the best customer service from Silko Honda! The dealership is situated at 1580 New State Highway 44, slightly west of Church Street. We’re conveniently down the street from Raynham Marketplace and Dunkin’ Donuts, so you can relax with coffee and a donut or fill up your brand-new car with groceries after your visit! Honda Accord: The Honda Accord is a classy, family sedan. This midsize sedan has fun performance, an immaculate interior, and forward-thinking features. 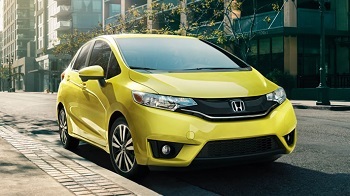 Honda Fit: The Fit is ideal for those looking for an affordable city car. This subcompact hatchback easily fits into tight parking spots and boasts high fuel efficiency. Honda Odyssey: The minivan is well-suited for those wanting a safe family vehicle. It seats seven and features technology to make life easier like an available vacuum cleaner. Choose a used Honda car or a Honda Certified Pre-Owned Honda vehicle for extra reliability. Only Honda vehicles that have been properly maintained, have up to 80,000 miles, and are six years old or less, qualify, so you’ll be guaranteed a vehicle that’s been put through a multi-point inspection by our Honda-trained technicians, with all major systems in the vehicle receiving careful scrutiny. Any component that doesn’t meet our standards will be repaired or replaced. You’ll also get a warranty that covers your engine and transmission to last for 100,000 miles or seven years, whichever comes first. SilkoCare service available in qualifying shops all over the United States and Canada. And since we’re a certified Honda dealer, we only use Original Equipment Manufacturer parts when we work on your Honda. All replacements are made to fit Honda vehicles, so you know that whenever we put a new part in your car, it was built to perform as it was originally intended to. To lease or to buy? Buying is great for those who want to make an investment in a car, while leasing allows you to have a car for a short time as you make regular payments for its use. The financing staff at Silko Honda can help you decide whether buying or leasing is right for you. Otherwise, it’s easy to apply for an auto loan at our dealership. Our financing staff has access to millions of dollars worth of credit from many sources, and we’re happy to help you create a payment plan that works with your budget. You can apply in person with our friendly financiers, or you can apply online from the comfort of your home with our handy online financing application. Financing can be the hardest part of buying a car, and we’re dedicated to making it navigable for you. We can’t wait for you to become one of Silko Honda’s loyal customers! For more information on our sales, service, and financing programs, or to set up a test drive for your next car today, feel free to give us a call or visit the dealership at 1580 New State Hwy. in Raynham, MA.